Please make your selections from the products listed below. Scroll down to see full descriptions of each product. 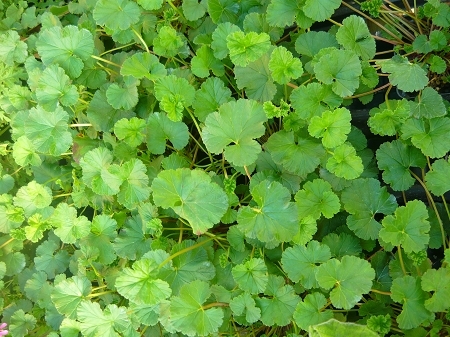 Coconut Scented Geranium - Dark green rounded leaves have a strong coconut/pina-colada scent. Compact, rounded and trailing habit with a profusion of dainty purple flowers when in bloom. Excellent in containers or hanging baskets. Self-seeding. Requires good sunlight and well drained soil. Perennial zones 10-11+ Live starter plant in 3 inch container. Copyright Colonial Creek Farm. All Rights Reserved. eCommerce Software by 3dcart.